BenShot has expanded its range of ammo. The Bullet Pint Glass, plus a Bullet Rocks Glass, join the original BenShot Bullet Shot Glass I waxed poetic about almost 3 years ago now. This time, though, I'm showing / reminding you of the BenShot line before, rather than after the holidays. 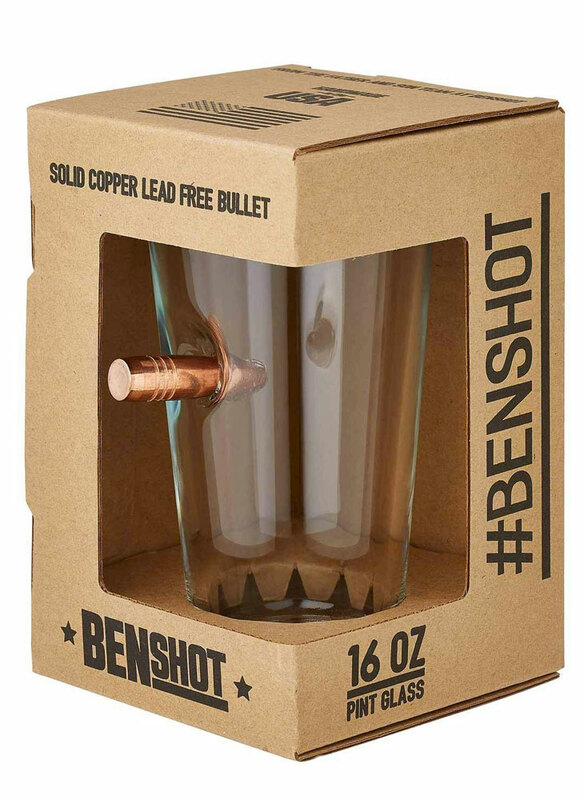 Like all BenShot issues, the Bullet Pint Glass has a real 0.50BMG bullet lodged in its side. 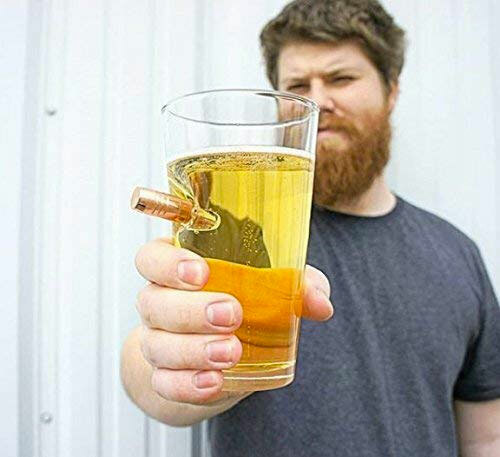 The father and son team at BenShot have a real knack for finding shot-up glassware with bullets that have managed to penetrate and stick without hitting any major organs, or requiring surgical removal. Quite the skill indeed. 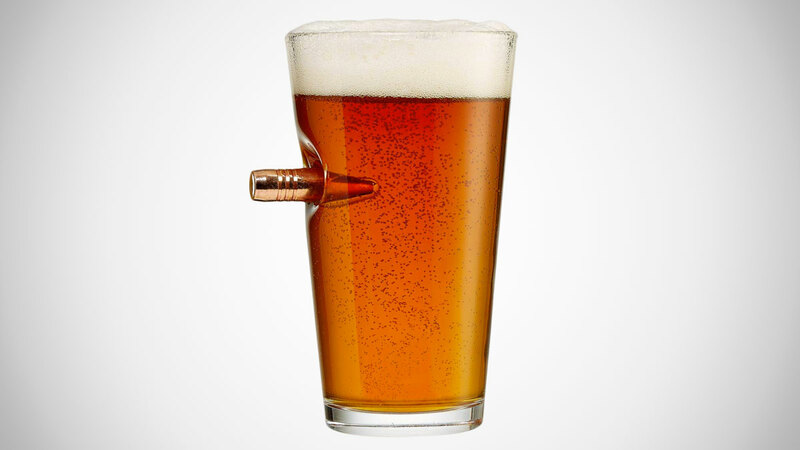 Fine, BenShot's actual method of making the glasses involves heating and hand sculpting each pint around the bullet. All of this work is done in the US. Bullets used are solid copper, so lead-free and safe for putting near your mouth.